Want to derive superior results from your trading? The Advanced Pack will give you all that you need to boost your skills and achieve extraordinary results. This jam-packed, powerful information is designed to revolutionise your profits and accelerate your success. Boost your knowledge and learn all about advanced options and CFD techniques, as well as sophisticated candlestick analysis and trading psychology. Professional traders focus on making money regardless of the market direction, as well as annihilating self-sabotage patterns that can destroy their ability to achieve success. This pack will take your trading to the next level and reveal tricks of the trade to help you to radically jump-start your returns. The information in this pack is not about vague concepts that do not work in the real world. 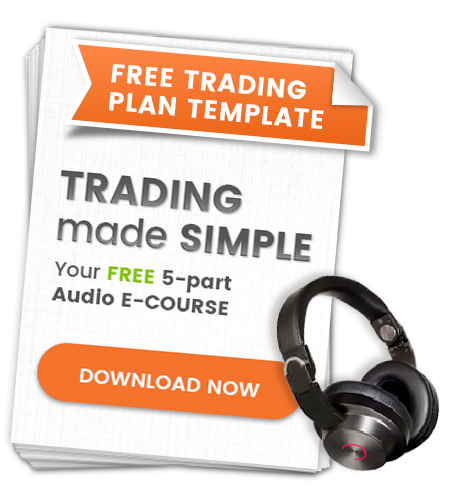 It contains about practical strategies that you need to implement in order to become an extremely successful trader. Louise Bedford and Chris Tate's techniques have helped thousands of traders attain exceptional trading results. They will guide you towards being the best trader you can be. These products will bring you a step closer towards achieving a gigantic financial breakthrough in your own trading results. 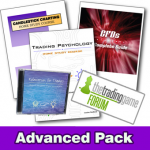 If you're serious about becoming a professional trader and improving your trading results, you can't afford to miss out ordering this Advanced product pack. Chris & Louise have seen thousands of traders from all sorts of backgrounds use the sharemarket to improve their lives. Whether you're looking for some extra spending money or you want to make a career as a private trader, there is a path already set out for you to follow. It really is not a question of "can I afford it" it is more a question of "can you do without it?" By ordering all of these products as a pack, you will receive a huge discount, and pay only $1895.00 instead of $2434.00. You will also become a member of the Trading Game forum - for 12 months so you can ask specific questions to a vast array of professional traders. Order your Advanced Pack of products NOW!